1. The best way to learn a language. I started learning Spanish my freshman year of high school, and with the exception of summer breaks and my first semester of college, I've been learning it since. While I still don't think I'm completely fluent, studying a language for six years makes a huge difference, and I hoped that coming here would help even more. However, I spent the first several weeks I was here kind of frustrated with my Spanish and feeling like I had hit a bit of a plateau; after learning all the necessary grammar in school, all I really needed to work on was my accent and the difference between the Spanish you speak in class and colloquial Spanish. But in between practicing with my host parents and speaking with strangers in the city, I didn't feel like I was improving at all. After coming back from Italy, I realized my Spanish really was quite good, and that the first four weeks in Spain actually did make a small difference. Since starting my language exchange, I've developed more confidence in my ability to speak the language and I've even learned a bit of slang that I would never have learned in a classroom. That being said, I think the best way to learn a language is with a balance. I've learned Hindi and Gujarati only from family and movies—never in a classroom—so there's only so much I know, only so many nuances of grammar and vocabulary and structure that I'm able to understand. At the same time, there's a limit to how much understanding that a classroom environment can provide you with when you're learning a new language, and coming here has helped me to realize that. 2. A new reason to appreciate Spanish. Last summer, I went to Honduras with some family friends and while I was there, I spoke a bit of Spanish with one of the locals. He was incredibly kind and patient with my limited abilities, and even complimented my accent. I was confused at the time; as a non-native speaker, I don't really have an accent that binds itself to any Spanish-speaking country and I've always felt that if I want to be considered fluent, I have to speak as a native speaker would. Javier, my language-exchange friend, has complimented my Spanish multiple times, and each time, I tell him how I still don't feel like I speak well enough and that I still think my accent needs work. I've always been fascinated by the diversity of the accents that accompany the Spanish accent, especially that of the Castilian accent here in Spain, and I've tried to recreate that lisp of the letter Z and that harsher, throaty sound that comes with the letter J. But conversations with my host parents and Javier have made me realize that my accent isn't "wrong," nor would it be more "right" if it was traditionally Cuban or Mexican or Castilian or whatever. When you speak a language that's been spoken for thousands of years across over twenty different countries, there isn't one right way to speak. Sure there are differences that mark you as more correct in one country than another, differences that involve diction and pronunciation and even the way you address others (tú versus usted), and while for many these differences mark country of origin or nationality, for me they mark my history: I use "vale" because I've lived in Spain, I will use usted (once I'm back in America) because that's what my teachers have taught me to do, I will manipulate my accent to reflect what I find aesthetically appealing or colloquial effective or even personally significant. When you speak the Spanish language, you get to appreciate all these nuances and intricacies and that makes me love it even more. 3. Why sunsets hurt. I've only mention this in passing, but the sunsets here are amazing. 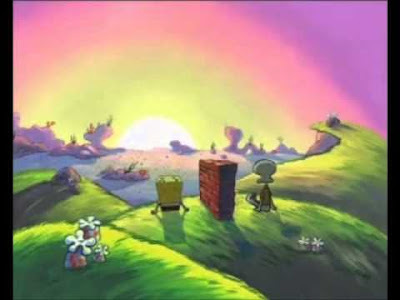 I saw a sunrise on a trip I went on with my AP Biology class in my junior year of high school that I still remember. It was the first sunrise I'd seen over the water, without any buildings to mar the horizon, and I still remember the way the clouds brought out certain shades of pink and orange and yellow in the sky, and the way the sky and its reflection in the water changed from before the sun had even begun to rise to a whole hour after. Photos don't do sights like these justice so you try snapping a couple pictures but ultimately you just give up and appreciate the view in front of you, trying to commit it to memory. That was nearly four years ago and now, if I time my bus ride home just right (the sun sets around 9:30-9:45), I can catch the most beautiful skies nearly every night. And I've been here long enough to realize that the views are different leading up to and after the summer solstice so that you end up with a whole spectrum of sunsets, each with a spectrum of colors itself. You have rainbow sunsets, where the surrounding mountains appear to be a dark indigo and the sky right by them is a bright red, which bleeds into an orange, with becomes a yellow and in between this and the blues you get at the very top, there's a small strip of subtle green. Then you have your cotton candy sunsets, where if you have the right type of clouds (cirrostratus for all you physical geography nerds out there), the setting sun creates strips of bright orangish pink that contrast with the neutral blues, and even the Cuatro Torres reflect a bit of the pink as well. The sunsets here are beautiful in the way that makes your heart hurt because you know you can't take them for granted, that you won't be seeing them forever, that these skylines and spectrums are not yours to keep. And don't even get me started on the starry nights. I'm starting to really miss D.C. and can't wait to go back and move into my new dorm. I have so much to look forward to during this next year, but I only have four weeks left in Spain and I intend to make them count. I'm planning weekends to Lisbon, Granada, and Sevilla and am meeting some new friends soon. Enjoy the rest of your week!